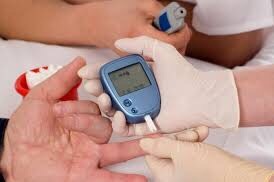 Glucose screening: what is is it? And why do some pregnant women have to be tested? The other week I had to go for a scan to make sure my little one was all OK and that my asthma hadn’t triggered anything too serious. Upon my arrival with my doctor to discuss the scan, she mentioned my need for a glucose screening, which up until that moment, I hadn’t a clue why I needed it but because my little one is growing quickly, she’s gaining weight fast and they just want to know she’s doing 100% OK and nothing is wrong with her. So I’ve been booked in for one in a few weeks and apparently it’s pretty darn common and nothing to worry about. So what is a glucose screening? A glucose screening test checks how our bodies regulates our surface levels. Glucose aka sugar is found in a lot of foods that we eat. The test is used to diagnose if us pregnant ladies might have diabetes (gestational diabetes) and is offered by our doctors if they think we’re likely to or already have the condition. The test is normally given to pregnant women during 24-28 weeks of their pregnancy, with 2-5% of mums to be develop the condition. Generally, there are no symptoms so if you’re not offered a test, a scan of your baby may trigger a test if your doctor feels the need to do one. It’s not something to worry about, once your pregnancy is over, the gestational diabetes goes away. What happens if you are tested for gestational diabetes? You and your doctor, along with a diabetes specialist and possibly a nutritionist to come up with a way to manage your condition throughout the rest of your pregnancy. Generally it can go away after pregnancy, but for some women it can stay after delivery so a test will be routine up to 8 weeks after your little one arrives.